TOKYO (Reuters) - The CEO of Mitsubishi UFJ Financial Group's <8306.T> banking arm will not attend the Future Investment Initiative conference in Saudi Arabia, the group said on Sunday, joining a growing list of business executives to withdraw over concern about the death of journalist Jamal Khashoggi. 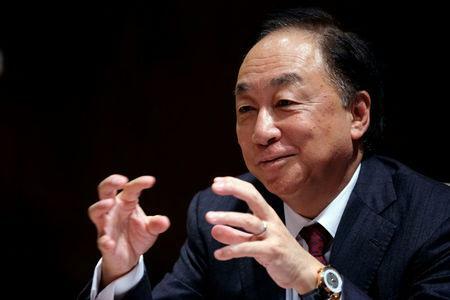 A spokesman for the Japanese company said that MUFG Bank Deputy President Eiichi Yoshikawa will attend the Saudi event in place of CEO Kanetsugu Mike. MUFG said the decision was made after "evaluating factors in a comprehensive manner". Khashoggi, a U.S. resident and Washington Post columnist critical of Riyadh's policies, disappeared on Oct. 2 after entering the Saudi consulate in Istanbul. Saudi Arabia on Saturday said he had died in a fight there. Two Saudi officials have since attributed the death to a chokehold. More than two dozen top officials and executives from the United States and Europe, including U.S. Treasury Secretary Steven Mnuchin and the chief executives of JP Morgan Chase and HSBC , have canceled plans to attend the Future Investment Initiative.